For quite some time now all the attention in our industry has been on MU (Meaningful Use) money and the MU reporting needed to get that money. However, that is certainly not the only reporting that ties back to the money. There is and will always be a significant need to report against the Allscripts Enterprise Practice Management system; in particular the need to report against the financial data that is maintained in the PM system. Some organizations manage to make use of the delivered reports in the PM system, but suffice to say many organizations have requirements that reach beyond the abilities of the delivered reports. In the case of those clients that have requirements that reach beyond those delivered reports, Galen has other little known service offerings to help close the gap. One of these services specifically is our Allscripts Enterprise PM Database Training. This training can significantly reduce the learning curve that comes with learning the intricacies of the Allscripts PM database. The two day training starts out by introducing the students to registration and scheduling data on day one. We then build on what is learned in day one with a full second day focusing on the financial data, including vouchers, services, and payments. The training incorporates workshops throughout that give the class the opportunity to bring real world reporting challenges into the class. The end goal of the training is to leave the training class feeling comfortable with the core data sets that make up the PM database and the tools to take their level of knowledge to the next level after we leave. 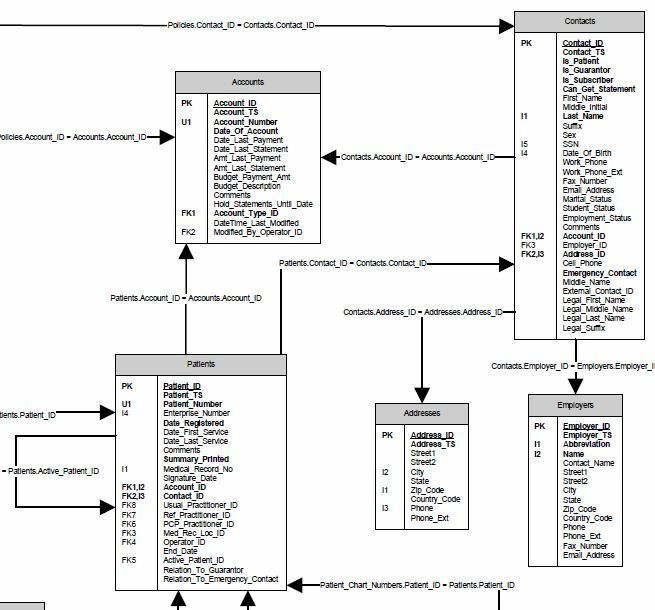 The training will include an extensive set of database diagrams and details about some key columns that will be encountered in the database tables. I recently delivered this training to a client that is focused on getting data out of the PM database and into their enterprise data warehouse where they can aggregate that data with data from across the organization. Whether, you are trying to extract data for a data warehouse or simply enable your organization to handle ad hoc reporting requests this training will provide you the foundation and tools to do so. To find out more information or to schedule a PM database training for your organization, please contact us. Keep on the lookout for an upcoming webcasts as part of Galen’s free webcast series offered every two weeks.